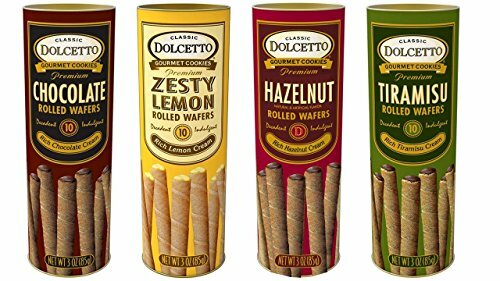 Elegant rolled wafers are generously filled. These wafer rolls are crispy on the outside; creamy on the inside. The perfect accompaniment to ice cream or a cup of coffee. Pop in your mouth any time of day! If you have any questions about this product by Dolcetto, contact us by completing and submitting the form below. If you are looking for a specif part number, please include it with your message.